Sometimes when we are eager to get away and see that dreamed of destination like Split and the Dalmatian Coast, or the herds of the Serengeti, or even just a night at the west end in London, we look for tours and groups that suit what we desire and come up empty, sometimes we just need to do it in our own time and at our own pace. This something we can help you with as easily as we help put you aboard your favourite tour. If you have 3 days or 6 weeks and want to ensure that everything for your trip is organised then we can help. From rail segments, to hotel. From Flights to Transfers. From Sightseeing to attraction passes there are hundreds of opportunities out there for the traveller who wants to see and do it all without hopping aboard a group tour. With partners like South America Tourism Office, the Africa Safari Co, Beyond Travel, Adventureworld, Wendy Wu Tours and Qantas Holidays we can organise tailor made travel arrangements to suit your needs. Whether you are looking for a privately guided tour of Mexico, or just a few days in London with sightseeing we can help you organise your holiday. Is something that we hear from so many people, and in truth it is a myth. While there are the occasional local specials that are available, a lot of local tours and prices are the same as what you would get by booking through an agency. More, if you book through an agency everything is ready and prepaid, you won’t have to worry about extra finances whilst on holidays ! Is the other thing that we hear most from those that want to organise touring and day trips whilst overseas. As anyone can tell you, when you are sitting in a hotel trying to decide from pamphlets what tour to take or sight to see hours can slip by, availability may not end up being there, and time is wasted that could be better used either sightseeing or really relaxing. Pre-organising your touring not only saves you money, but saves you time and allows you the opportunity to better organise your trip away to do what you want. South America Tourism Office, the Africa Safari Co, Beyond Travel, Adventureworld, Wendy Wu Tours and Qantas Holidays are amongst some of our best partners at helping to organise the best trips for individuals, that will allow you to make the most of both your time and your money. So if you wan’t to get away on a private tour, or a free style holiday then this is your opportunity to talk to the experts all about it! Just come and see us at ..
We have had this weekend, a few of our staff out enjoying the sights and sounds of Adelaide. Taking in its cultural, culinary and commercial hotspots while they have been there. While we have been hete enjoying fantastic Barossa Valley wines with great meals made from local produce, taking in the stunning artwork and fashion galleries at the State Museum or simply watching the swans by the River Torres .. we realise that this is something that everyone should get the opportunity to experience. 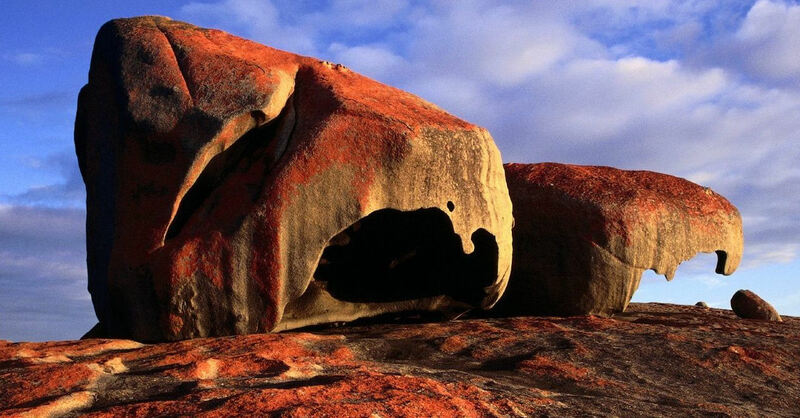 My Kangaroo Island Experience, will take in the best of Adelaide, the Barossa and Kangaroo Island in a package just over a week long. Journeying to Adelaide with the Indian-Pacific, then flying home, this trip is a fantastic way to experience some of South Australias Historic, Cultural and Culinary experiences. We will need a minimum of 15 Travellers to get this trip going, and final dates will be set when numbers are acheived. So if you are interested in a great Australian getaway .. give us a call today!